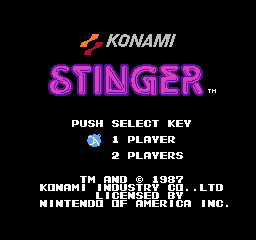 Stinger is a sequel to Twinbee. 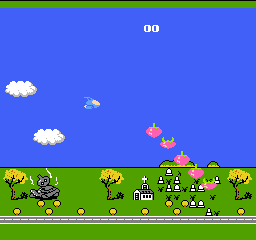 It's about two bee shaped planes that shoot at fruit mostly. 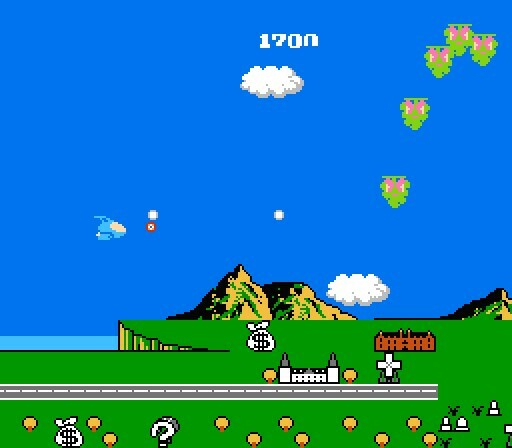 If you shoot the clouds, you can get a bell to appear to gain more points. Now you can add videos, screenshots, or other images (cover scans, disc scans, etc.) 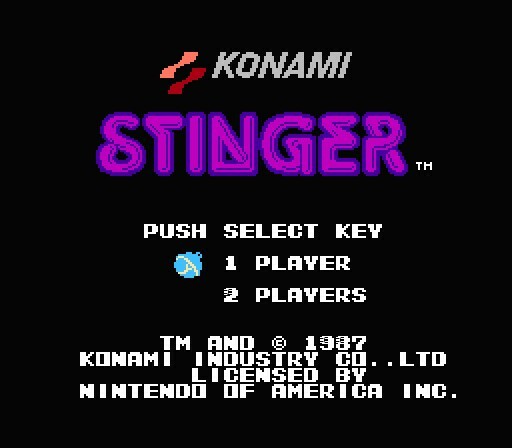 for Stinger (USA) to Emuparadise. Do it now!